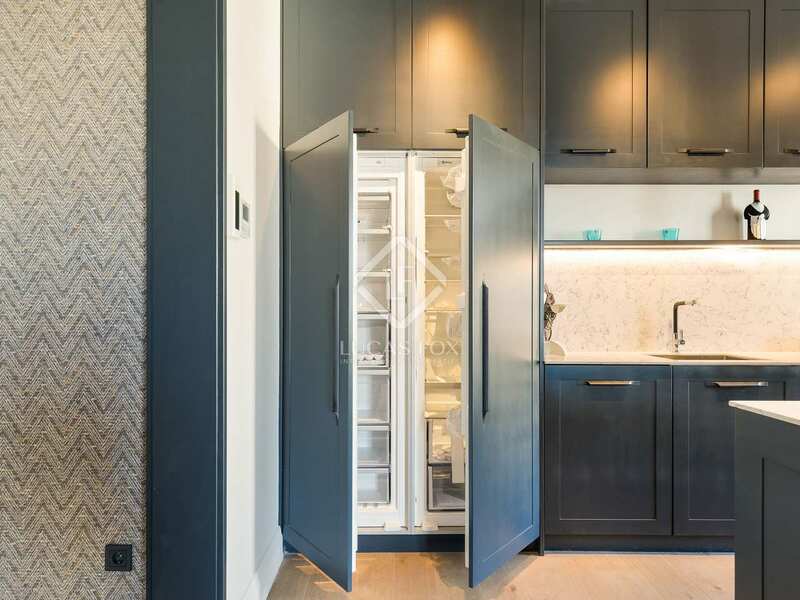 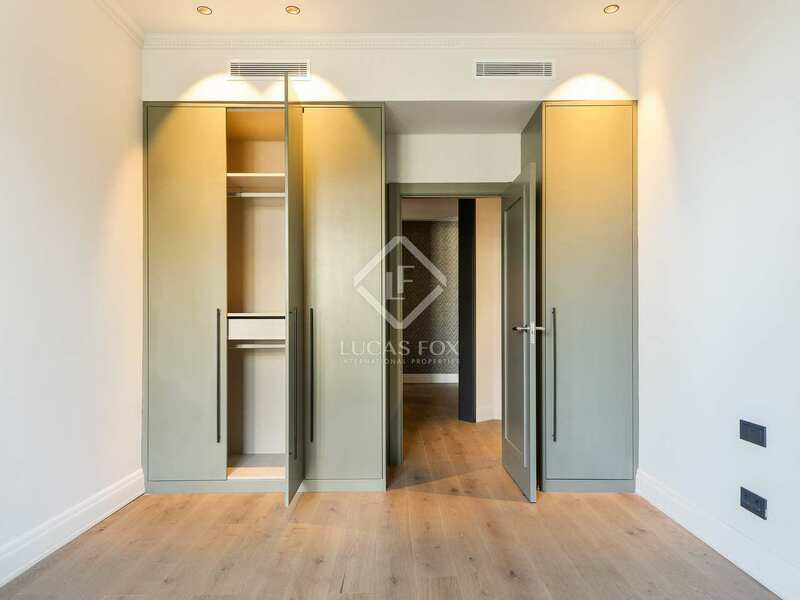 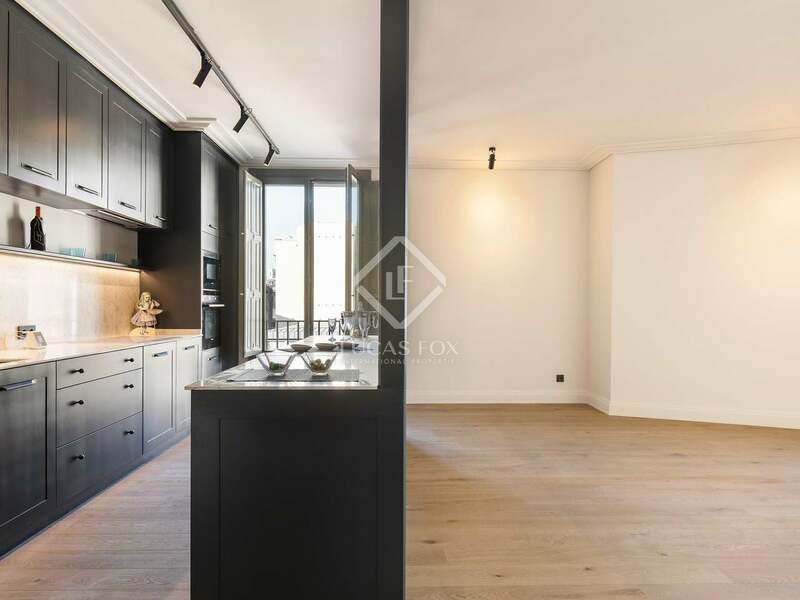 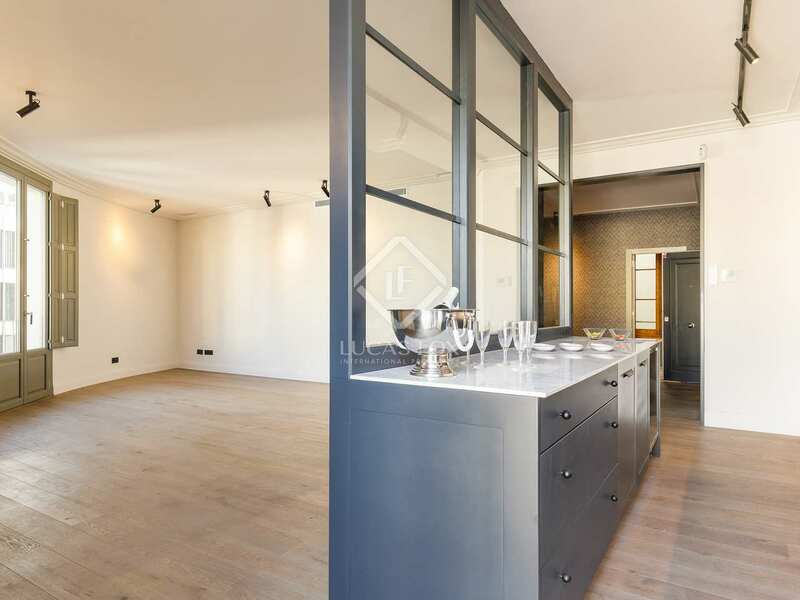 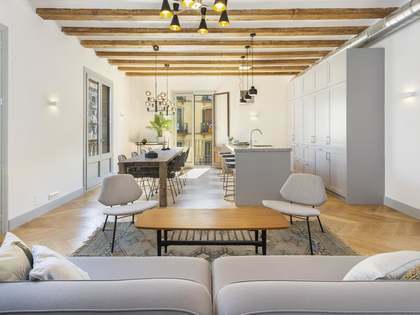 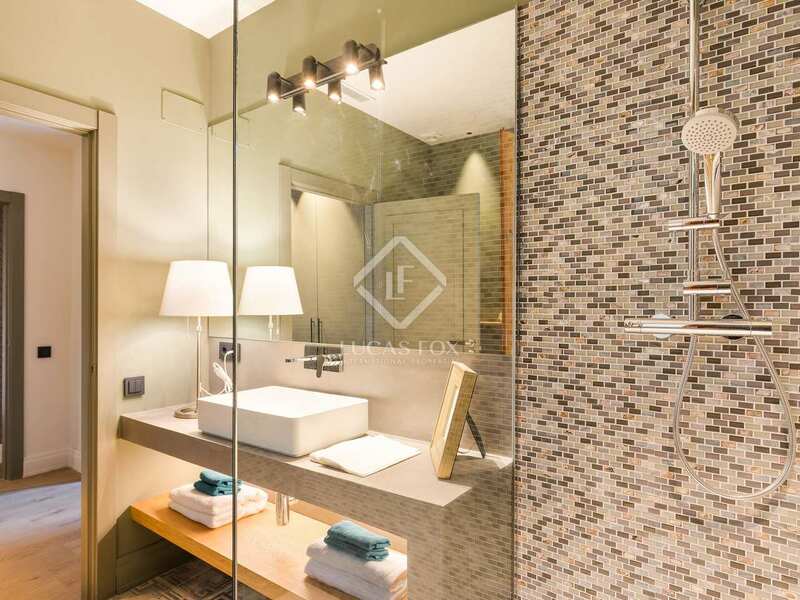 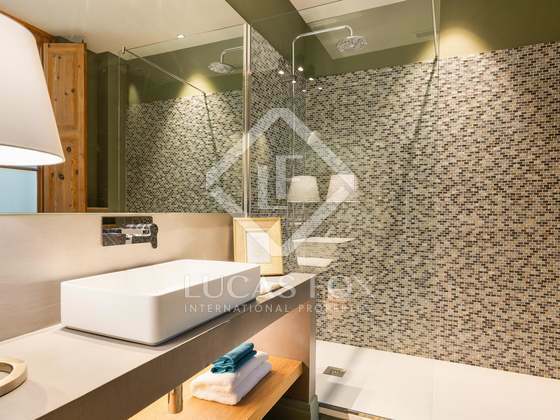 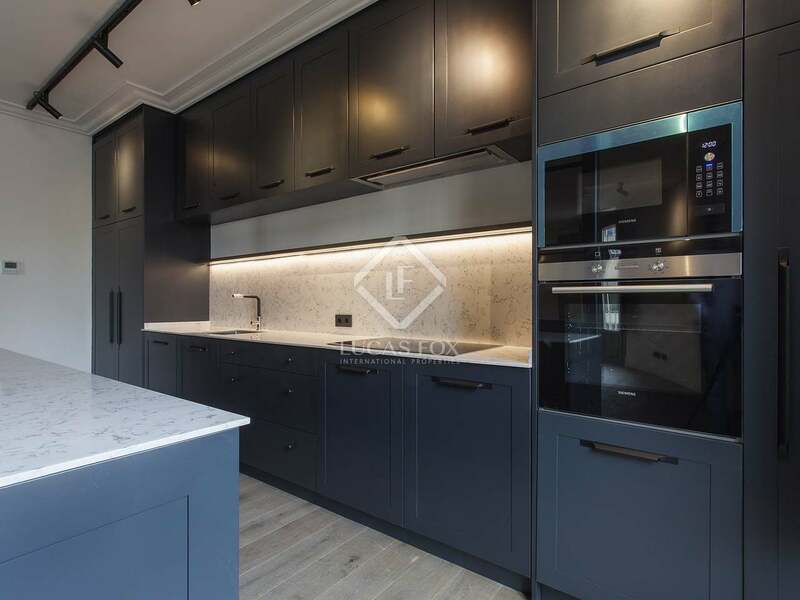 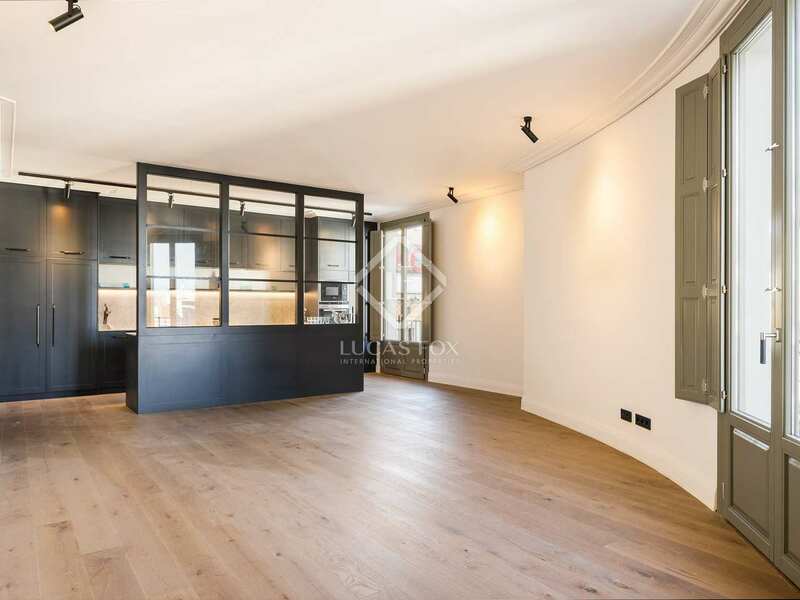 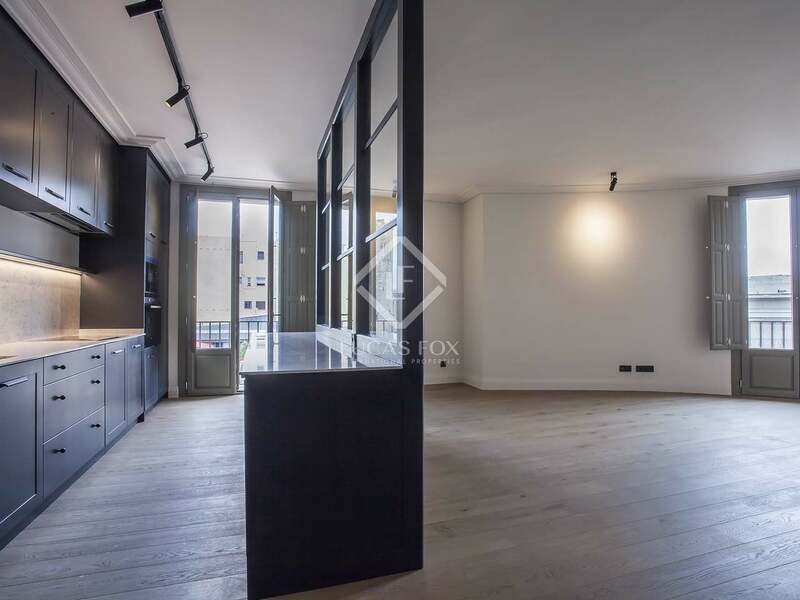 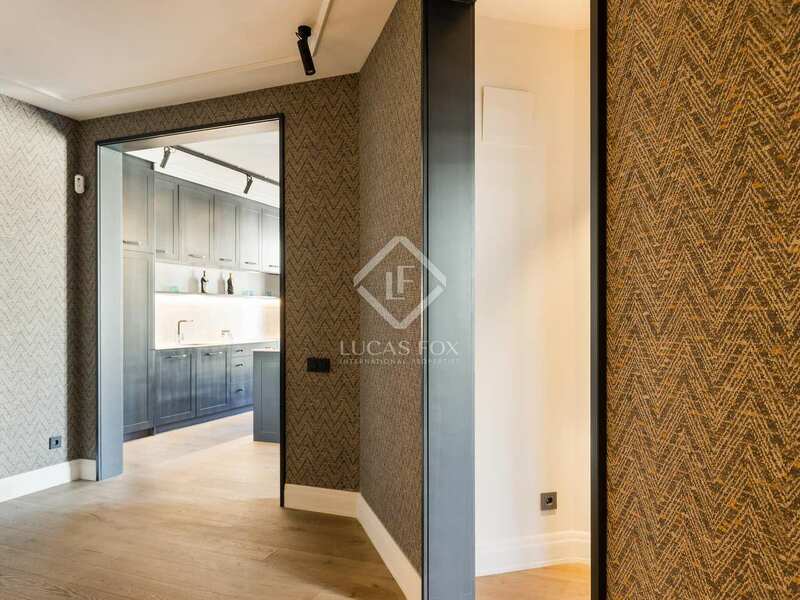 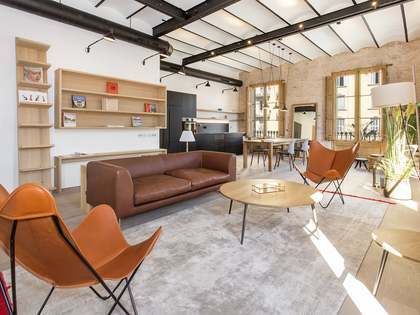 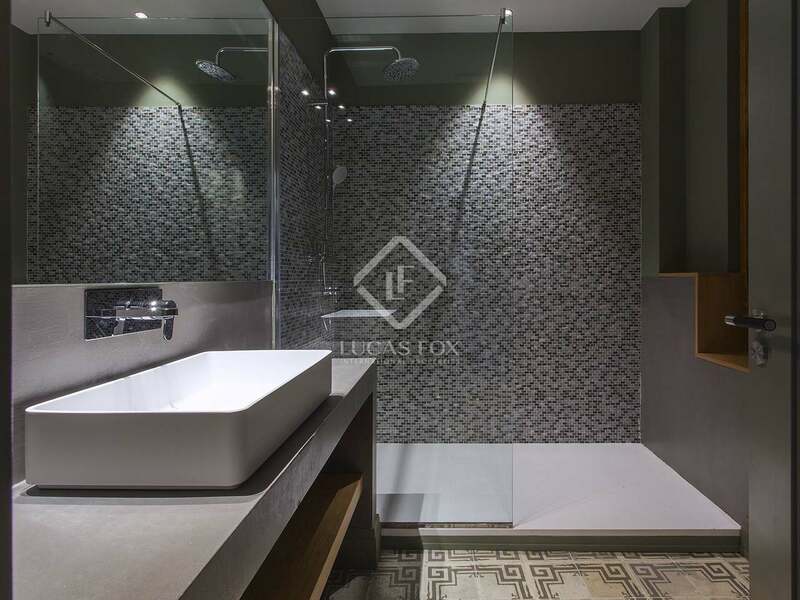 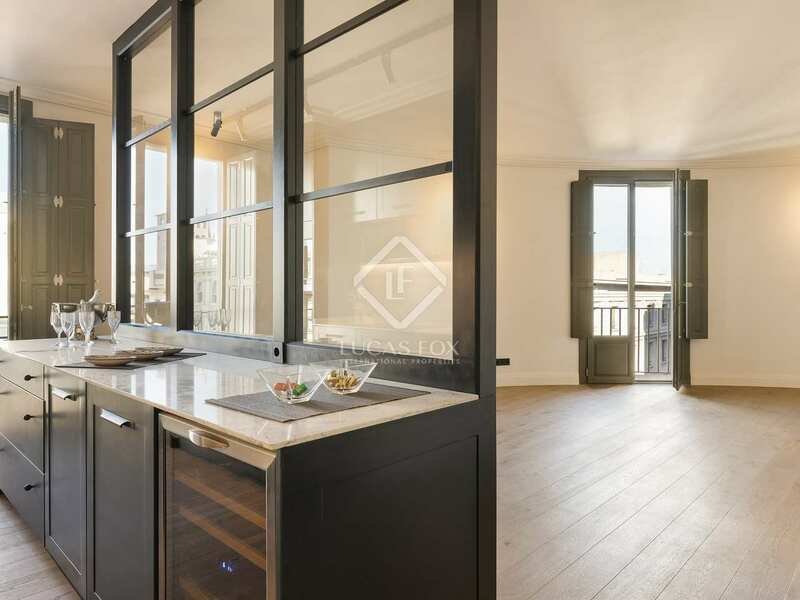 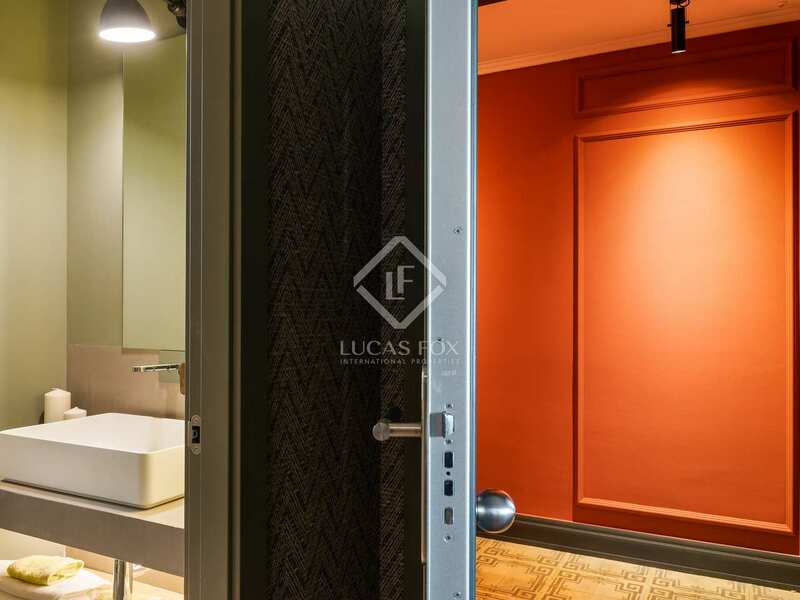 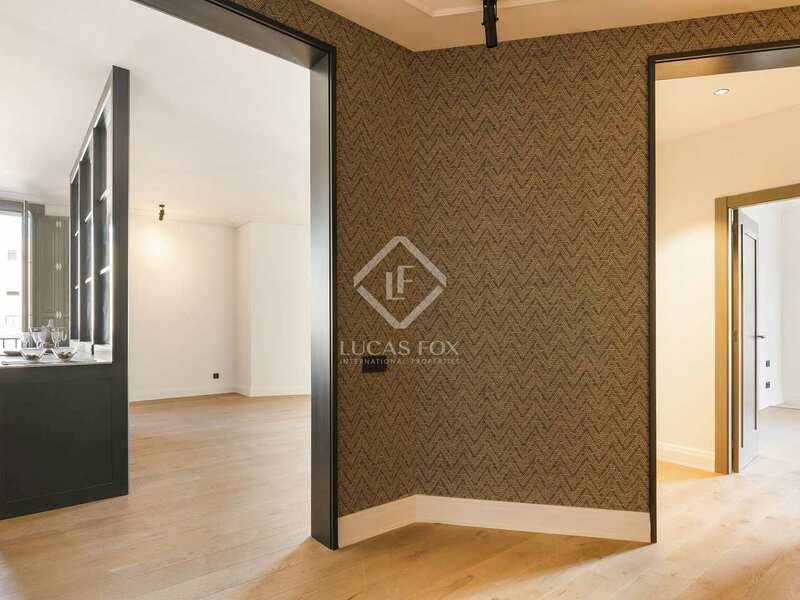 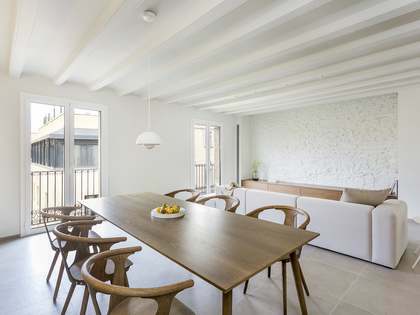 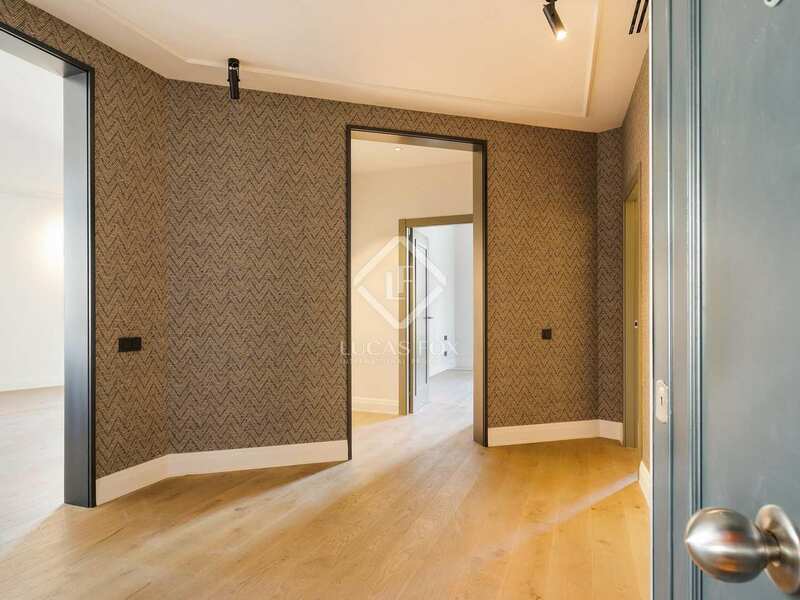 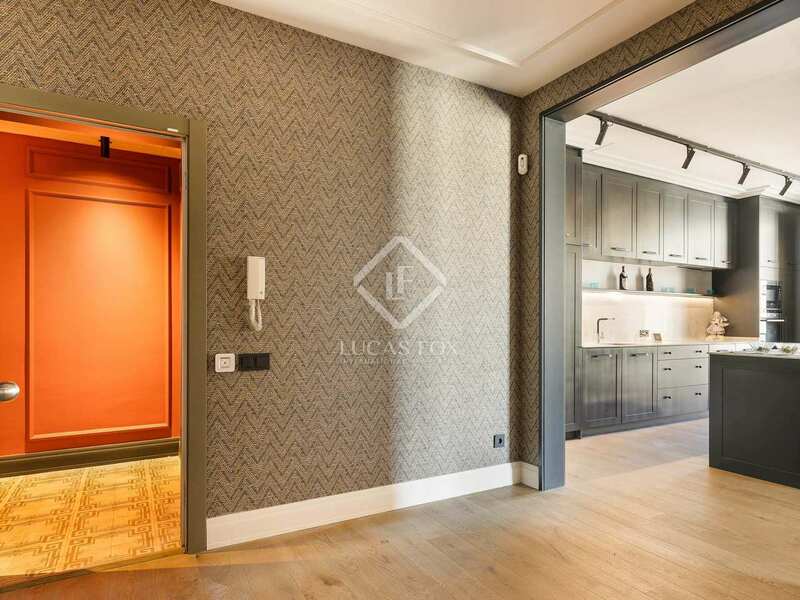 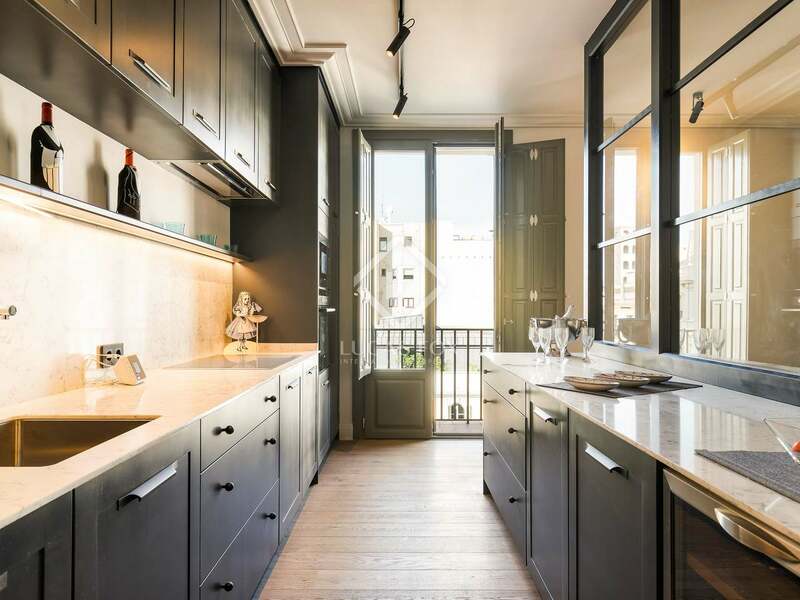 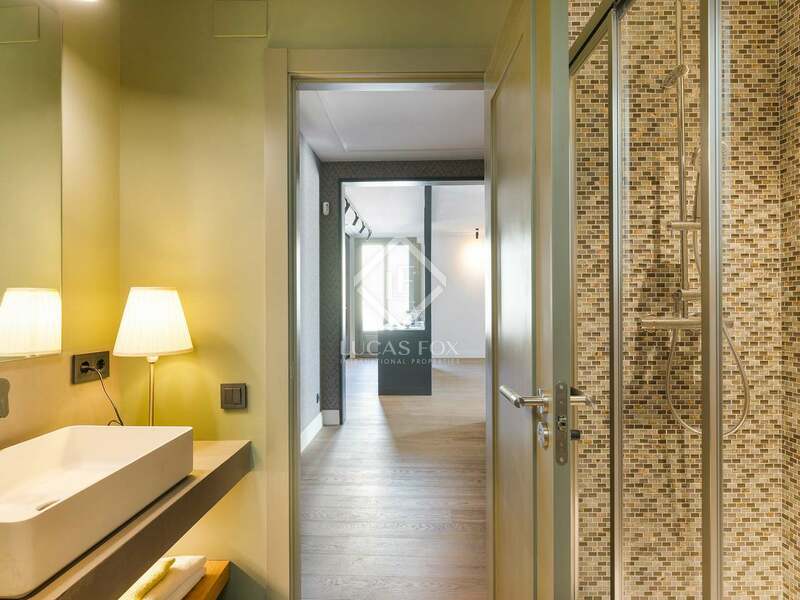 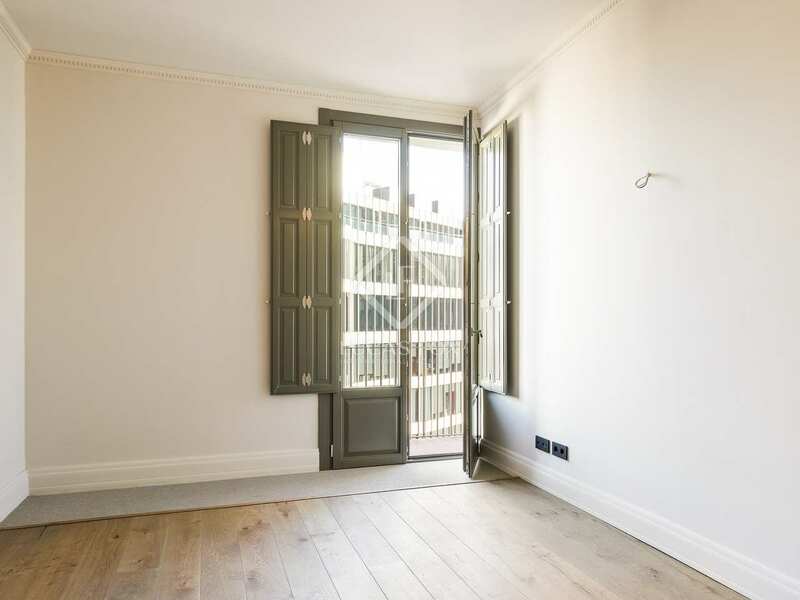 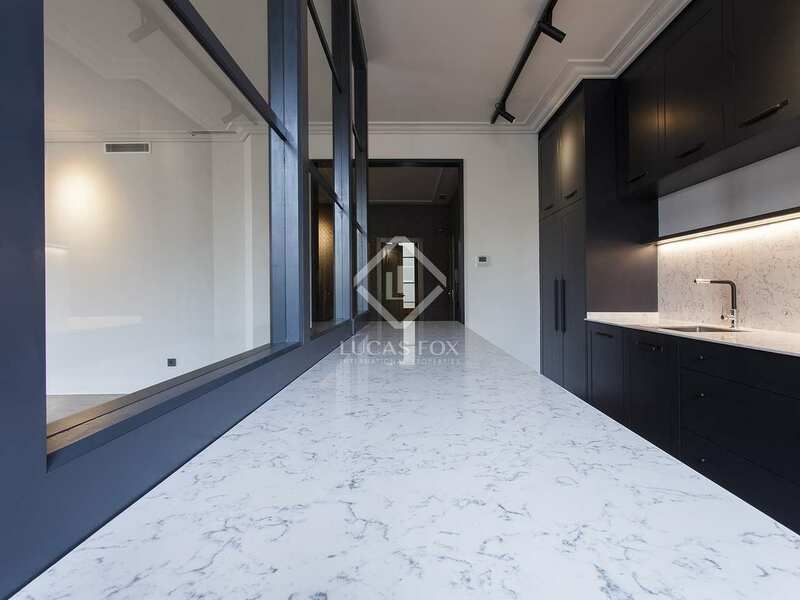 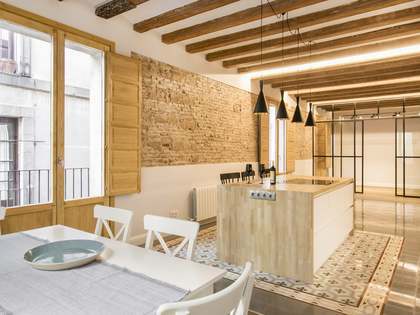 Impeccably renovated 134 m² apartment located at the heart of Barcelona City, on Via Laietana, ideally nestled between the trendy Born neighbourhood and the historic Gothic Quarter. 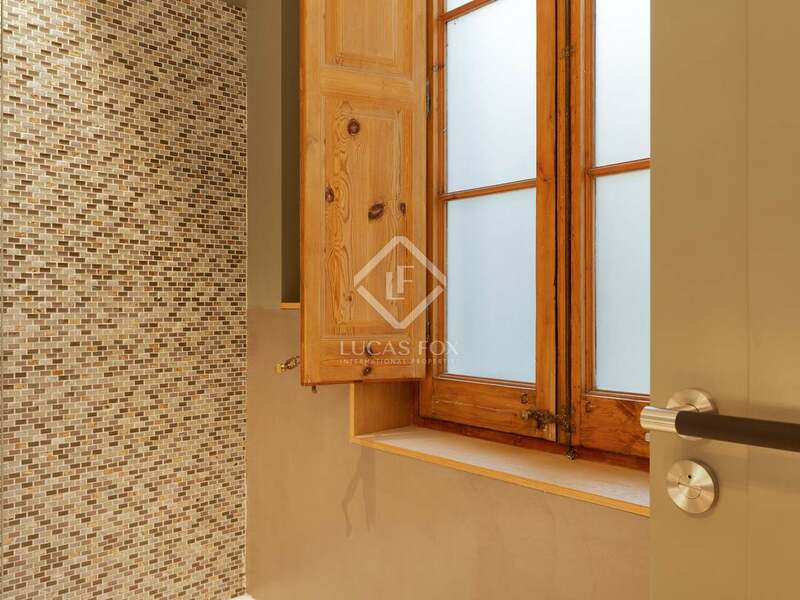 The property is found on the fifth floor (real height) of a spectacular listed 1920's building with incredible views over Via Laietana. 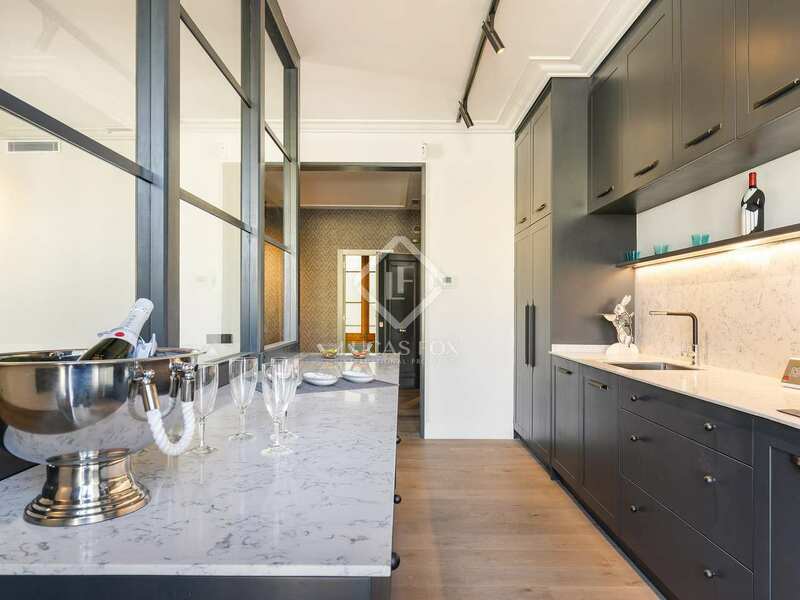 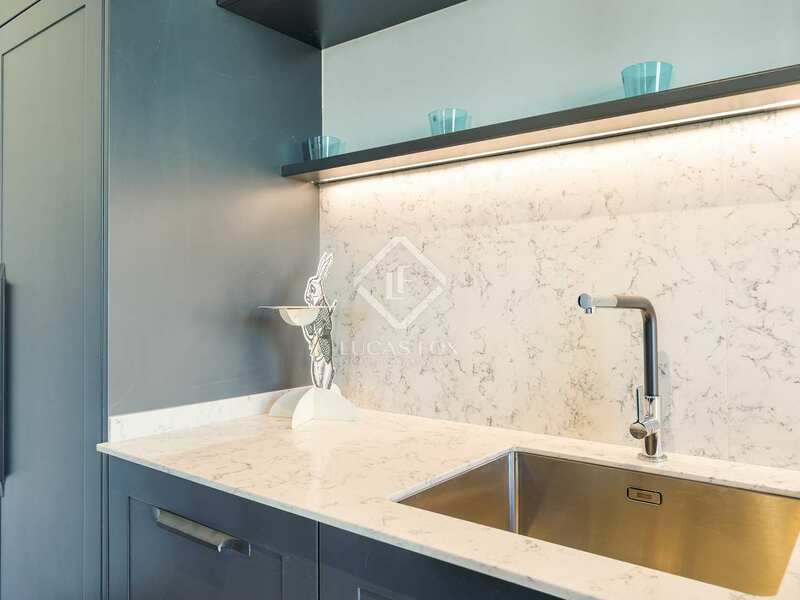 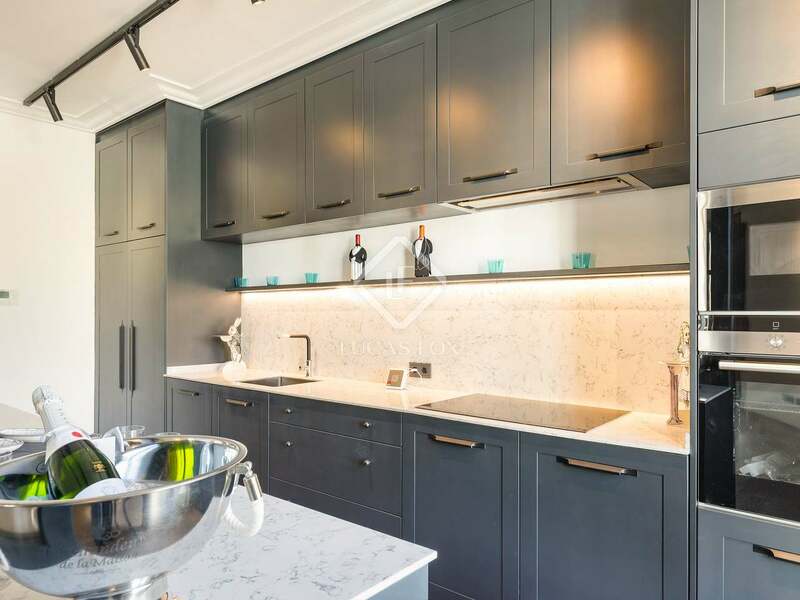 The apartment has been beautifully renovated with high-end contemporary finishes whilst incorporating the original ceiling mouldings and the mosaic floor tiles in parts. The living area is the heart of the home with a large lounge and a semi open plan kitchen that is offered fully equipped with all appliances. 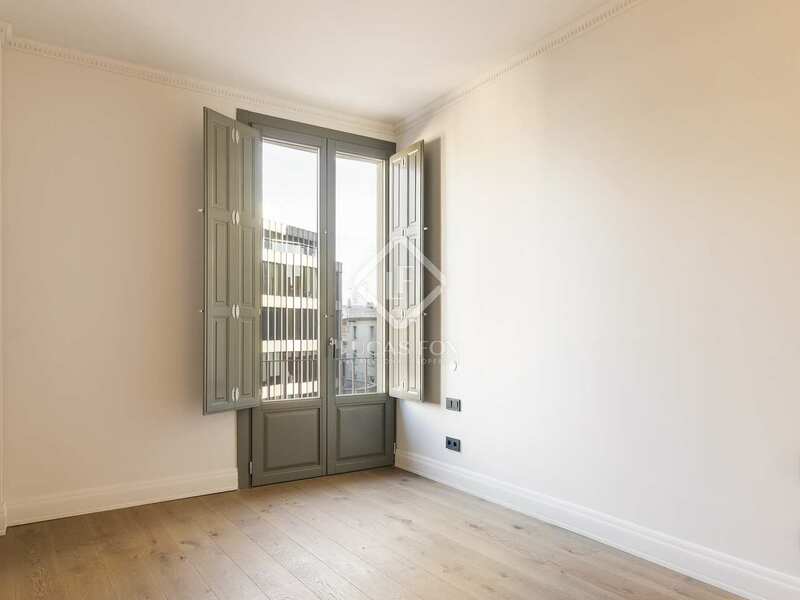 This area offers access to a terrace via 2 sets of patio doors with fabulous views of the city. 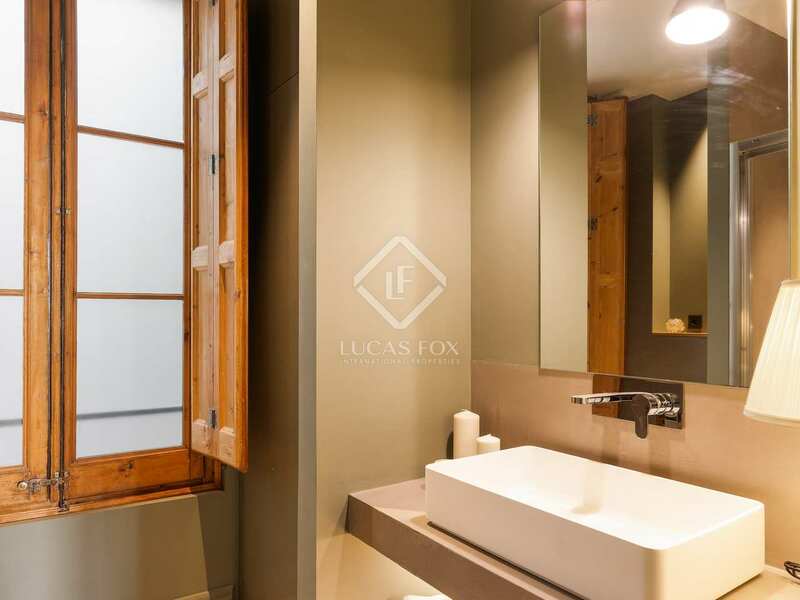 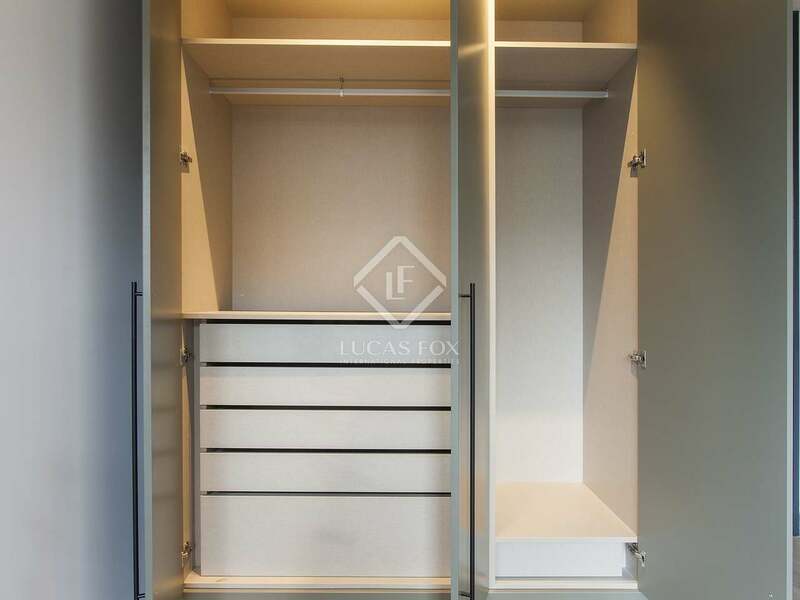 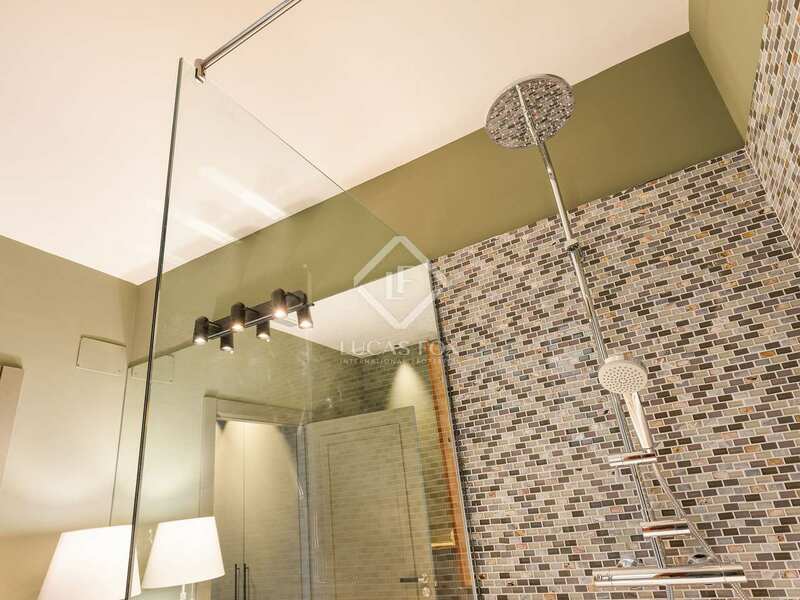 The property has 2 double bedrooms, one of which has a dressing area and ensuite bathroom. 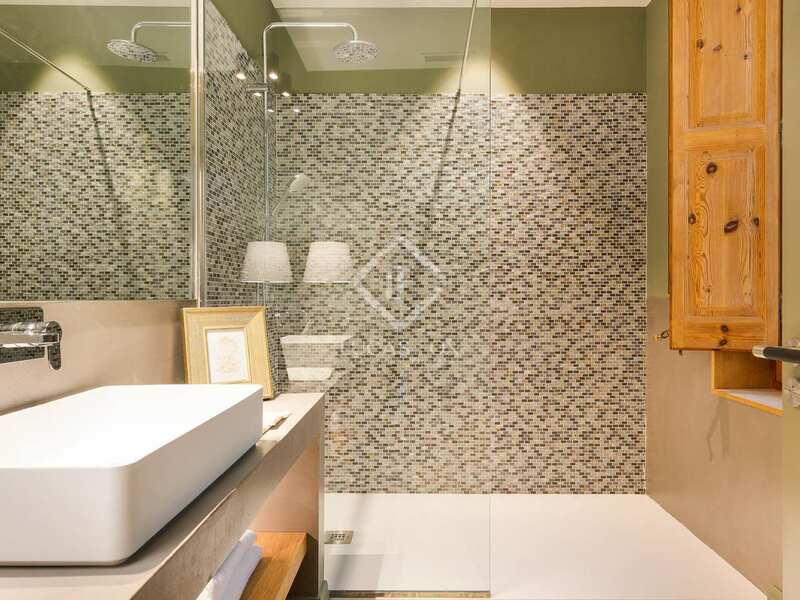 A second separate bathroom completes the layout. 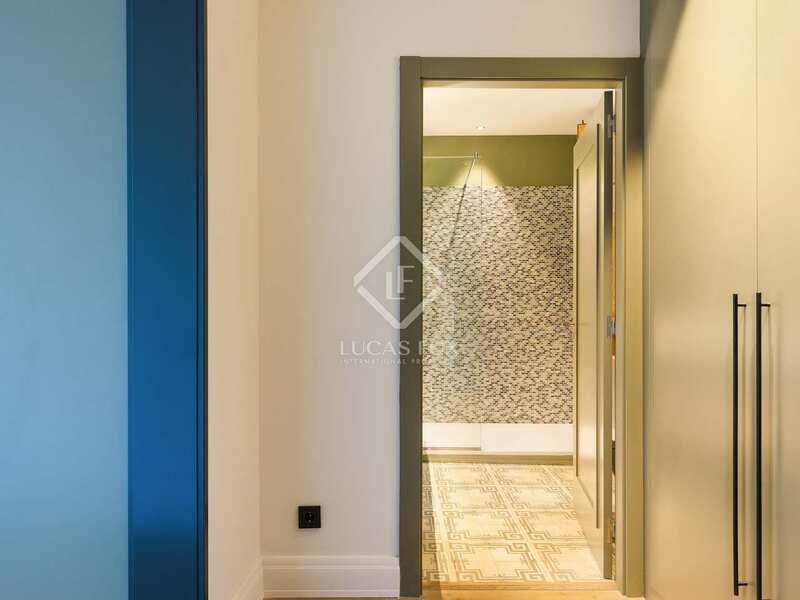 Contact us for further details of this magnificent home on Via Laietana. 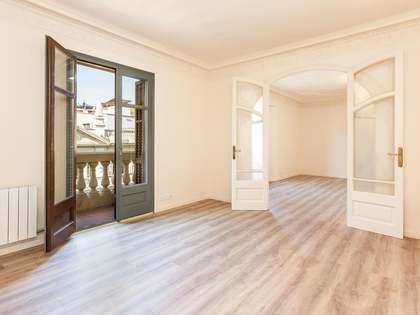 This apartment is located on Via Laietana, next to Plaça Sant Jaume, close to Barcelona Cathedral. 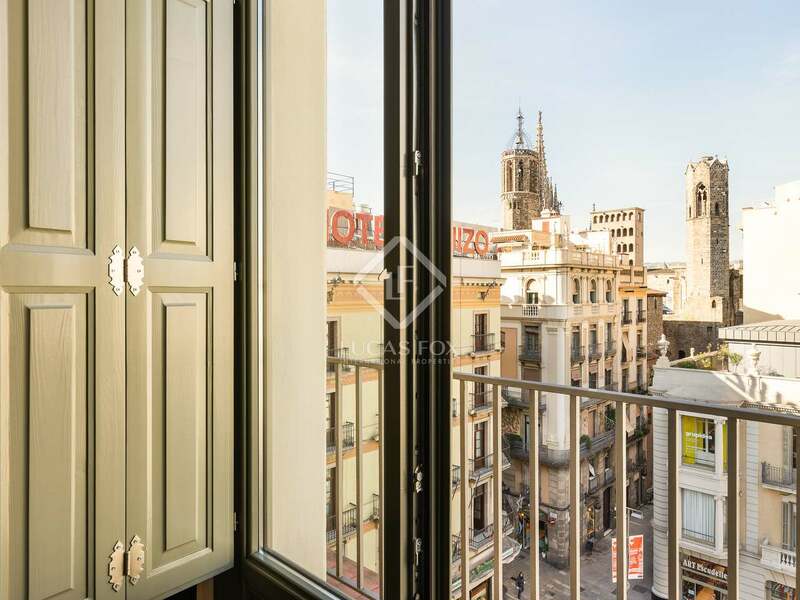 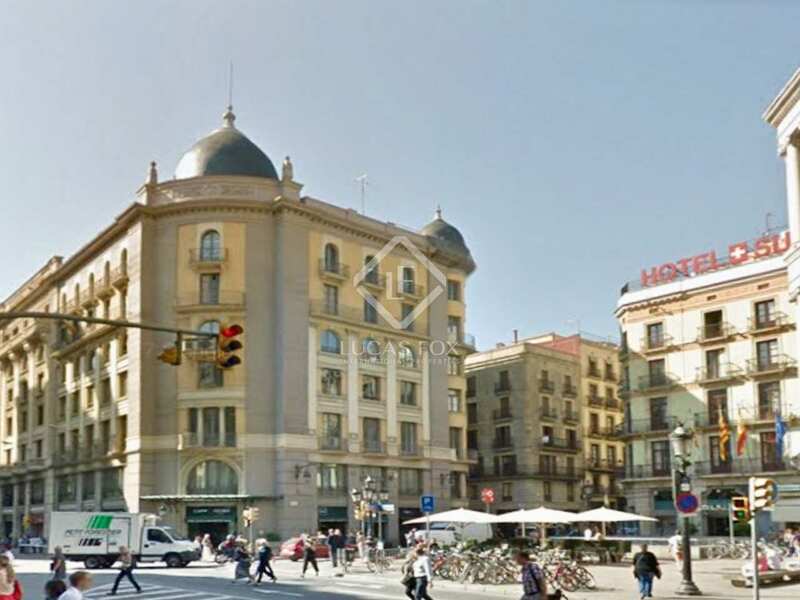 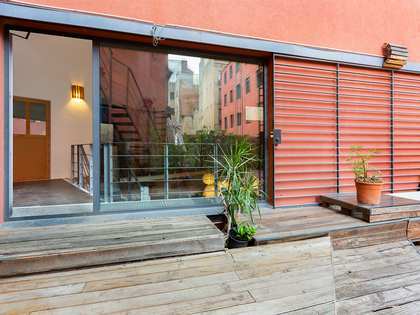 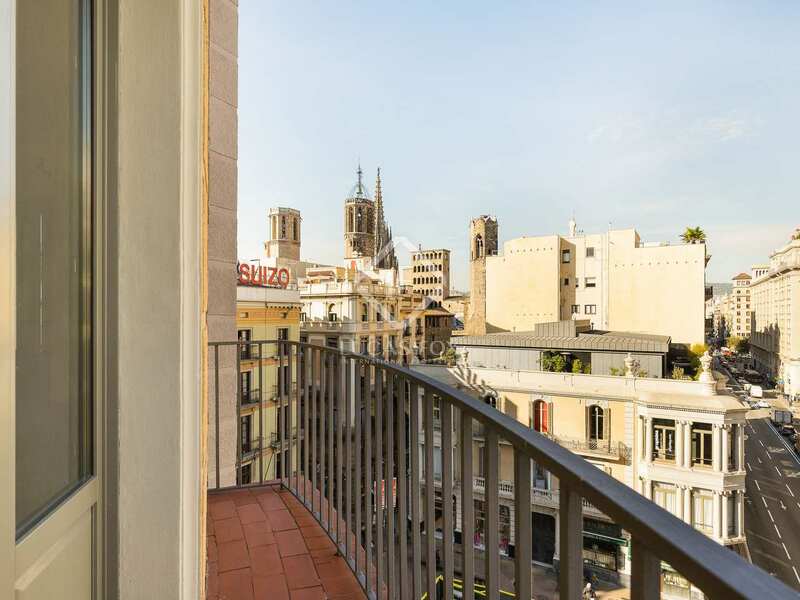 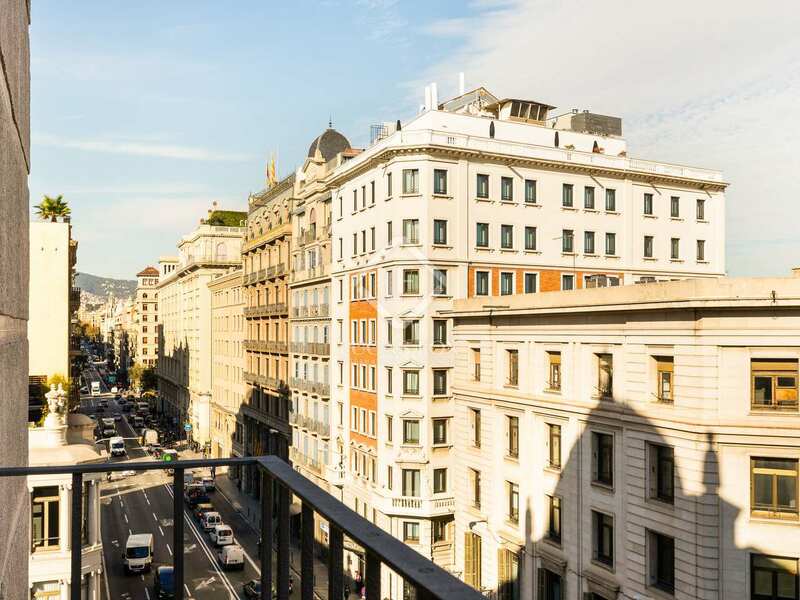 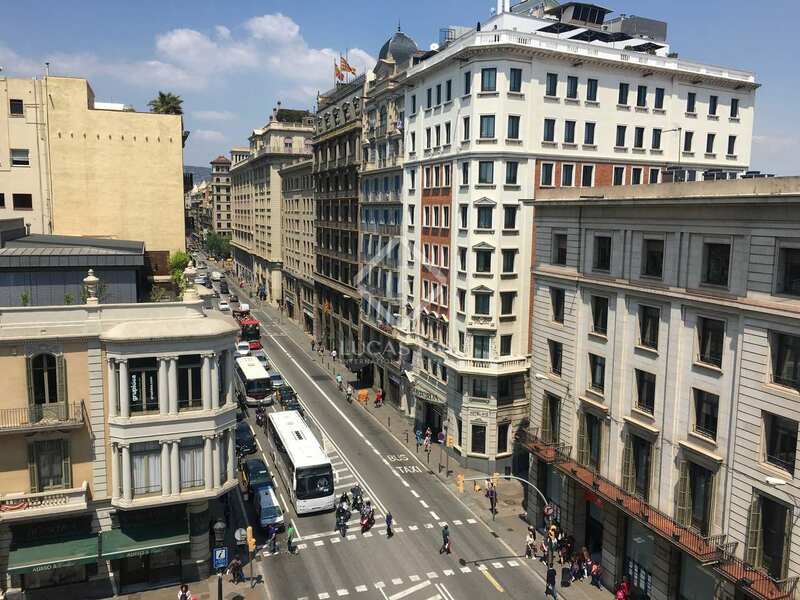 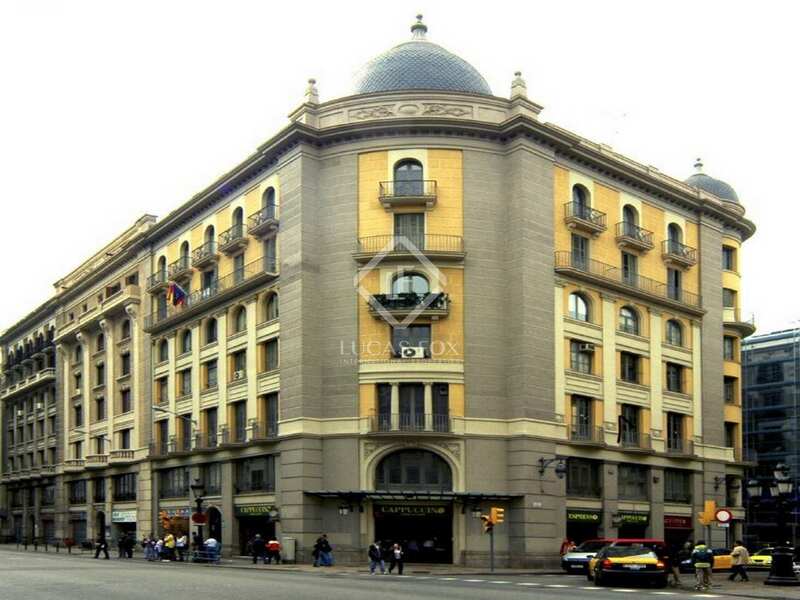 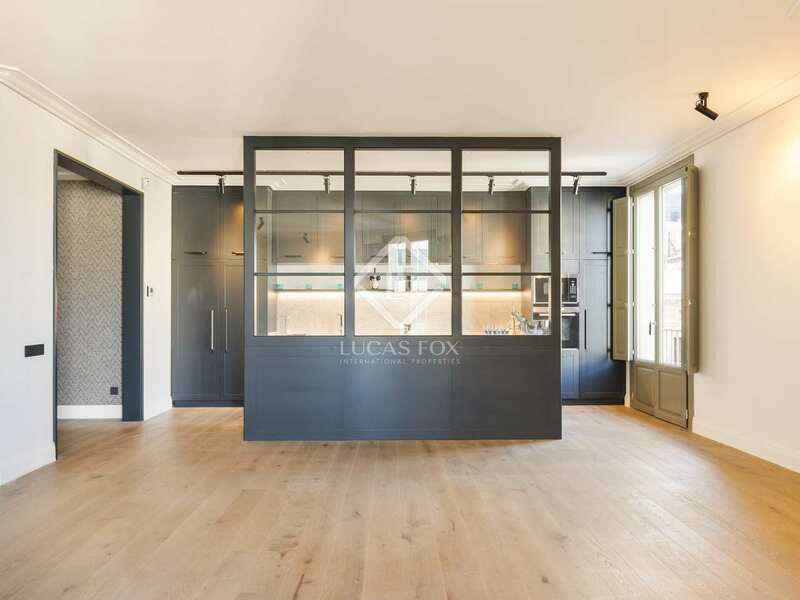 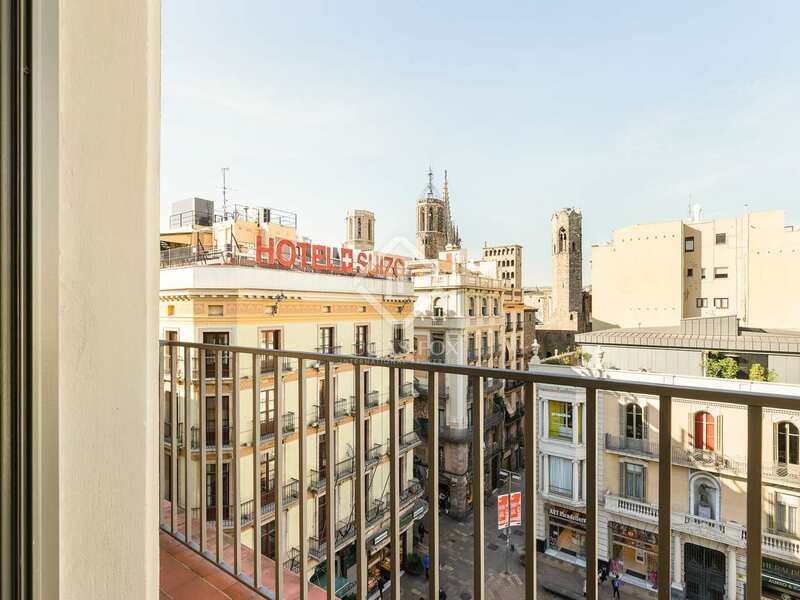 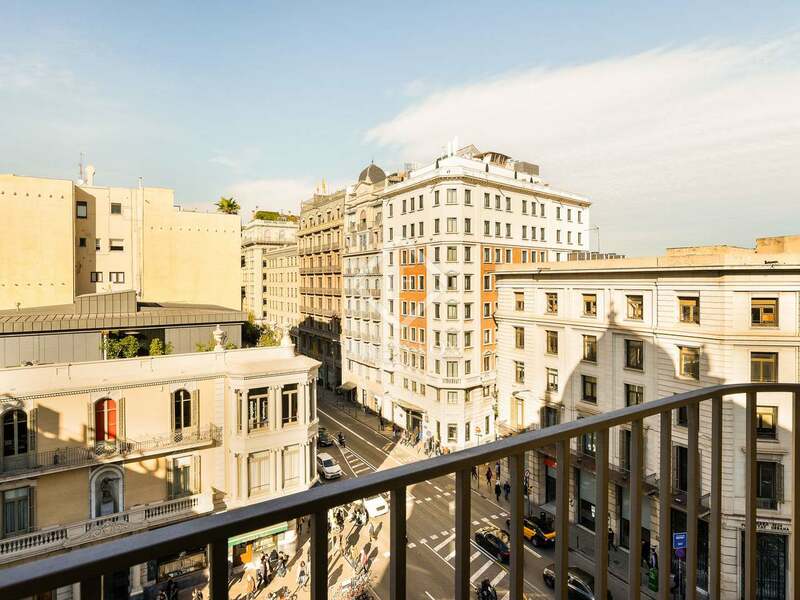 This is a privileged and central location between the trendy Born neighbourhood and the historic Gothic Quarter.